I was raised in the church of Christ and currently serve as the associate minister for the Point Pleasant church of Christ in Hebron, Kentucky. I love studying the Bible, preaching, and sharing fellowship with God’s saints. If you have ever read this blog before, you know I also love baseball. I thought it would be interesting to take a look at some big league players who share a common faith through the Lord’s church. The listing of a player below does not endorse all that player believes or how he behaves. Every individual has a responsibility to remain steadfast in the faith. This is simply a list of some of the players associated with the churches of Christ, not an approval of them individually. Fred McGriff is listed on several websites as being a member of the church of Christ, but I cannot find any further information than that. The “Crime Dog” slugged 493 home runs in his career, and very likely would have topped 500 if the 1994 strike had not robbed him of so many games. He never gained any traction with the BBWAA for Hall of Fame induction, but I am confident he will be recognized by the Veterans Committee in the near future. Bobby Murcer became a Christian in 1967 through the influence of his wife. He played 17 seasons for the Yankees, Cubs, and Giants, and went to five straight All-Star games in the 1970s. He went on to a broadcasting career for the Yankees after his on-field days were done. Murcer passed from complications related to brain cancer in 2008. 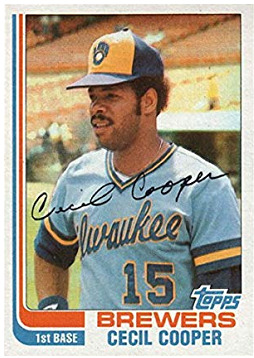 Cecil Cooper made his debut with the Boston Red Sox in 1971, but it was not until he joined the Milwaukee Brewers in 1977 that he became a baseball star. He led the AL in doubles and RBI twice, won a couple Gold Gloves, three Silver Sluggers, and was named to five All-Star teams. He retired from playing in 1987, but stayed close to the game working as an agent and coach; he managed the Astros from the end of 2007 through most of 2009. 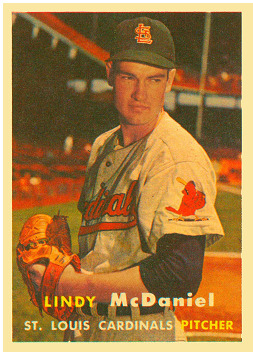 Lindy McDaniel was an All-Star reliever who finished third in Cy Young voting in 1960. My dad remembers worshiping with him in Cincinnati whenever the Cardinals were in town. McDaniel also preached during and after his big league career in Oklahoma, Missouri, California, New Mexico, and Texas. He published a newsletter in the 1960s and 1970s and a blog starting in 2009, both under the title, “Pitching for the Master” (the last blog post was in 2014). Jim Morris was never a baseball superstar, but was made famous by a Disney movie in 2002, The Rookie. If you’re not familiar, Dennis Quaid played the role of Morris, who debuted for the Devil Rays in 1999 at the age of 35. While the movie is definitely dramatized (because that’s what Hollywood does), it is still an inspiring story. Morris did not come to know Christ until after his major league career. Brian Flynn has pitched out of the bullpen for the Kansas City Royals since 2016. He came up as a starter with the Miami Marlins in 2013. Rex Brothers signed a free agent contract with the New York Yankees in December after 2 seasons with the Braves. He pitched a scoreless inning and walked one batter in the Yankees’ first spring training game Saturday. His little brother Hunter pitched in the Rockies system for two years but never made it past Grand Junction. Josh Willingham won the Silver Slugger award after his 35-homer season for the Twins in 2012. His final at-bats came in the 2014 World Series with the Kansas City Royals. Brad Ziegler had a solid career pitching for the A’s, Red Sox, Marlins, and Diamondbacks, and retired from the Diamondbacks in October last year. He had a habit of adding “1 John 5:5” to his autograph early in his career, but changed to “Joshua 1:9” a few years ago. 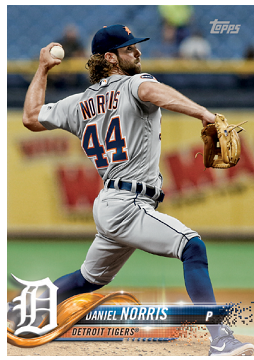 Daniel Norris was the fourth youngest player in the bigs when he debuted for the Blue Jays in 2014 and received some press for living out of a van. He hit a home run in his first major league at-bat, and was the first American League pitcher ever to hit a homer at Wrigley Field. Steve Liddle is a bench coach for the Tigers and played eight years in the minors from 1981 to 1988. Anthony Vasquez pitched in seven games for the Mariners in 2011, but his baseball story continued beyond that. He pitched in the Arizona Diamondbacks’ farm system just last season and signed a new minor league contract with the organization in January. A great deal of this information comes from Bobby Ross Jr.’s articles in the Christian Chronicle. 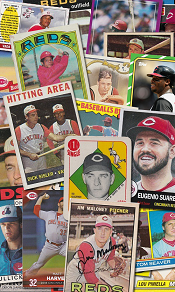 If you are aware of other big league ballplayers that are members of the church of Christ, please drop their names and any relevant links about their faith in the comments below. The next Blue Jay in the Hall of Fame? Manny Ramirez retired a couple of days ago, and the baseball world was (for some reason) shocked. Carlos Delgado officially announced his retirement earlier today, and no one said a word. In an era of juiced-up sluggers, Delgado was reportedly clean. In any other era, he would be ushered into Cooperstown on the first ballot. But now? I’m not so sure. Granted, he will have some stiff competition. In 2015, three pitching greats will also be debuting on the ballot: Randy Johnson, Pedro Martinez, and John Smoltz. The offensive competition isn’t as heavy: Troy Percival, Nomar Garciaparra, and the cheater Gary Sheffield. How much support will Delgado receive? How much does he deserve? In a career that spanned 17 seasons, he hit 473 home runs, drove in 1512 runs, and batted a respectable .280. His OPS+ was 138 for his career. He finished in the top ten for MVP voting 4 times, and received votes in 3 additional seasons. The negative? He was only a two-time All-Star. 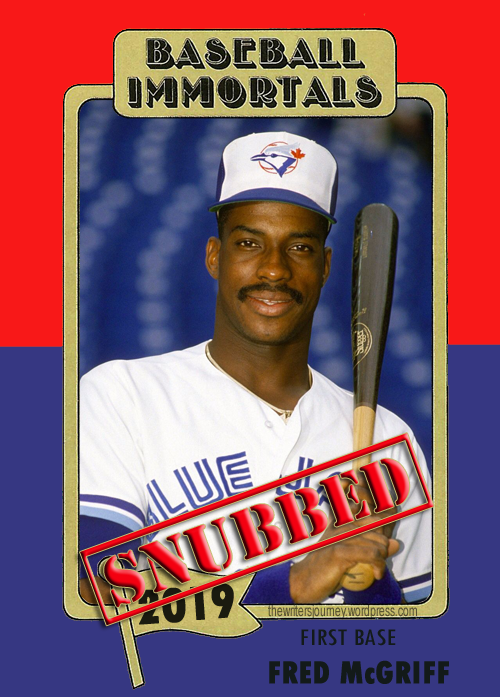 The only non-PED eligible candidate with more home runs is another former Blue Jay, Fred McGriff…and it’s a crime the Crime Dog isn’t already there. The main knock against Delgado (and McGriff) seems to be that they failed to hit 500 home runs…but they came so close. If you ask me, both should be in the Hall. I believe McGriff will get there some day, but I’m not sure Delgado will ever garner the support from the BBWAA for induction. When I think of the Blue Jays, I think of their awesome 1980s uniforms in contrast to their boring duds worn today. There are some players that immediately come to mind as well, such as Dave Stieb, Jimmy Key, and Tony Fernandez. It was no surprise that those players were among the ones selected to the Blue Jays’ All-Time NON-HOF by position team on baseball-fever.com. Among the players on my ballot, I believe McGriff and Alomar should be in the Hall of Fame already, and Alomar will almost certainly get the call in January. McGriff, on the other hand, will have some more campaigning to do. This is a pretty formidable team if you ask me. There are a lot of really good but not great players that passed through Toronto, and there was agreement on several of the positions. Alomar, Fernandez, Stieb and Key were all unanimous selections, while Henke was named on all but one ballot.